Updated 2009 Edition Featuring "Bo"
"If you want a friend in Washington, get a dog," Harry Truman once said. Maybe that's why, for much of our Republic's history, there have been two top dogs at 1600 Pennsylvania Avenue - one with two legs, one with four. 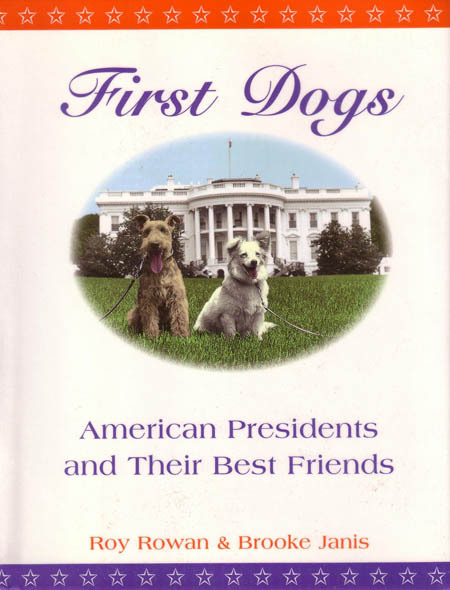 First Dogs, by distinguished journalist Roy Rowan and researcher Brooke Janis, tells the whole doggone story, from the days before there was a White House to the dogless presidency of Bill Clinton. From Sweet Lips (George Washington's foxhound) to Millie (George Bush's spaniel), dogs have been at the sides of American presidents wherever they went. Not only did the dogs humanize their distinguished masters, they offered them a little unconditional love in a loveless town, and sometimes broke up the rigorous White House agenda with impromptu tugs-of-war in the Oval Office or dips in the Rose Garden fountain. Here's a lighthearted romp through American history, packed with drawings and paintings from early America, plus photographs of dogs - from Abraham Lincoln's Fido to Zeke, the cocker spaniel that the Clintons owned in Arkansas. Laddie Boy, Fala, Pushinka, King Timahoe, and Liberty are just a few of the four-footed goodwill ambassadors who have left their mark on the American consciousness (and not just the East Lawn). 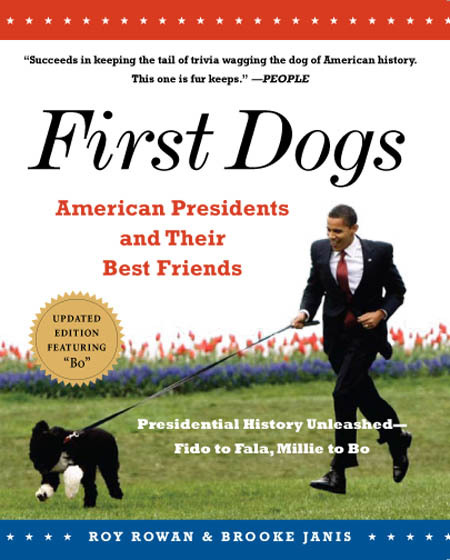 First Dogs will give dog lovers and history lovers not only a new angle on presidential history, but also more fun than you can shake a stick (or a rubber bone) at. First Dogs was made into a documentary film narrated by Kelsey Grammer and aired on the Discovery Channel in 1999.